You are cordially invited to join the society! We teamed up with the brilliant minds of Abe Flores and Richie “Riot” Otero on a special collaboration from the A&R Collective. The Four Star Society is a cigar blended exclusively for Binny’s. The Four Star Society is a 4.5 x 50 box pressed petite belicoso with a 5 year old Ecuadorian Habano Rosado wrapper draped over a Dominican Corojo 98 binder with Nicaraguan fillers. This limited cigar is available at Binny’s now, but won’t be around for long. 2018 has been another great year for cigars. We have seen some truly remarkable sticks hit the shelf here at Binny’s and it’s time for your local Cigar Consultants to weigh in on the best of the best through a very long process of voting, counting, and well, smoking. 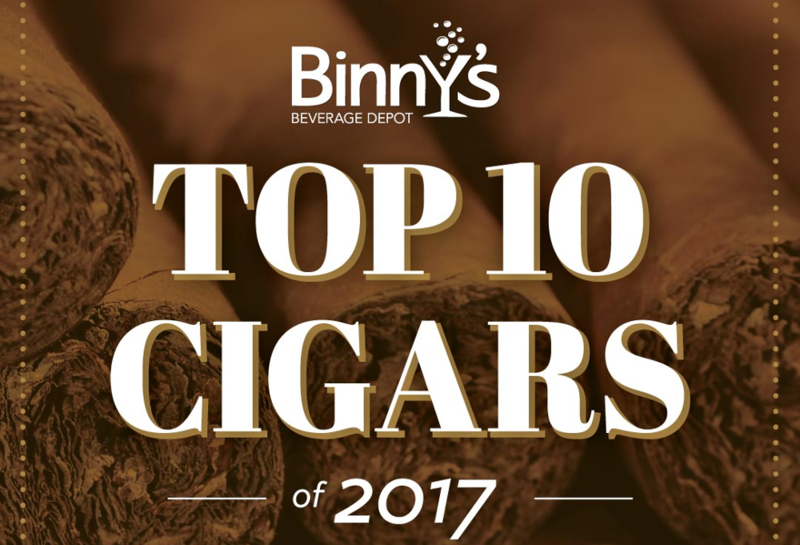 Here are the top 10 cigars of the year brought to you by your friends from the Binny’s humidors. 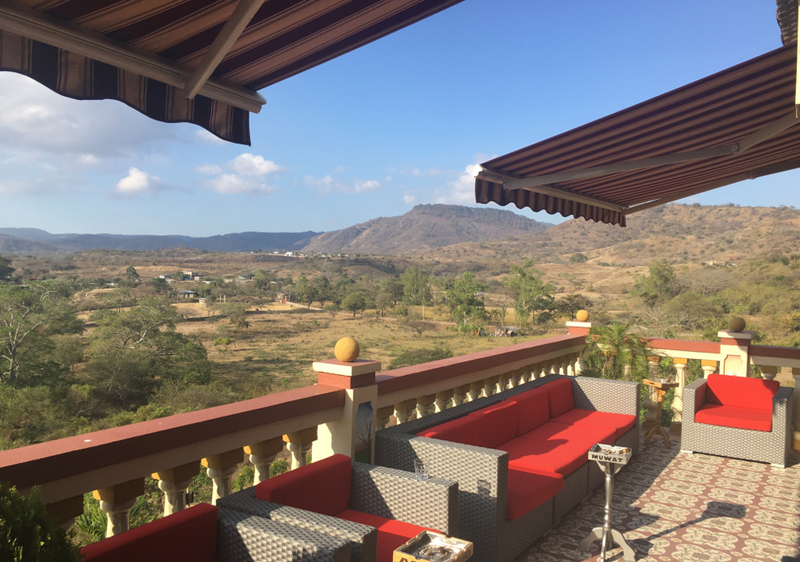 Our Cigar Team recently hit the road to Santiago to visit the La Aurora factory in the beautiful country that is the Dominican Republic. As we drove through the city of Santiago after we arrived in the evening, the city was alive with motorcycles and traffic. Congested narrow streets with daredevil bikers weaving in and out of traffic. Although, we would rather be stuck in Dominican traffic then on I-90 during rush hour. Our bus began the arduous task of climbing the steep winding roads leading up to the top of Camp David. The bus carried all ten of us up to the top and when we reached the peak we were speechless looking at the view over the top of the city. After the long flights and our perilous ascent we all welcomed the sight of Manuel’s travel humidor full of Sapphire, Ruby, and Diamond robustos. Amidst the sea of choices on the shelf today, you may be asking yourself - whats so special about Cigar City? In a word - proficiency. They can fill a fermenter with one of the most complex imperial stouts youll ever taste, yet at the same time produce an impeccably balanced and refreshing pale ale. Also of note, is their ability to imbue Floridian culture into their distinctive lineup of beer. Tampa is a city built by tobacco, and with cigar manufacturing came a diverse influx of immigrants who built a vibrant community around them. With the help of Binnys Cigar Consultant Jen, weve selected some cigars to enjoy alongside a freshly poured Cigar City. The new Cohiba Blue is an exciting blend from an established producer. Featuring a Honduran wrapper and fillers from the Dominican Republic, Honduras and Nicaragua, this cigar has been blended beautifully. The Cohiba Blue is available in four sizes. It offers the quality and excellence of Cohiba into an approachable price for everyday smokers. Medium in body, this new Cohiba is a great way to try an old world smoking experience with rich and smooth flavors. If you have never picked up a Cohiba let the new Cohiba Blue be your first. Its getting to that time of year where we pull the golf clubs out of storage and dust off the winter cobwebs on our swings. Oddly enough this cigar has nothing to do with the sport, but a reference to the very first place Binnys had a humidor. 767 Golf is the address of the very first Binnys Beverage depot as we know them today and the history behind our humidors starts there. This corona was made for us by the fine folks at Kristoff cigars and is an exemplary example of a premium cigar. Whether youre going to hit a bucket of balls or relaxing on the porch the 767 golf has you covered. The Binnys Top Ten Cigars are handpicked by our dedicated team of cigar consultants. These guys and gals smoke all year in the pursuit of the flavor, burn, and enjoyment. Presenting our Top Ten Cigars of 2016.